Some of the well-known medicines on which the ban on sale has been lifted include Pfizer's Corex cough syrup, Glaxo's Piriton expectorant, P&G's Vicks Action 500 extra, Reckitt's D'Cold and Piramal's Saridon. The Delhi High Court on Friday stayed the ban on some fixed dose combination (FDC) drugs of Glaxo SmithKline, Wockhardt and Laboratories Griffon but said action against their sale could be taken in the absence of valid sale and marketing licence. The drugs which were subject matter of today's plea are Aceproxyvon, Viscodyne and Viscodyne-D of Wockhardt, Crocin Cold and Flu Max of Glaxo and Grilinctus syrup of Griffon. Justice Rajiv Sahai Endlaw passed the order after the government said the three companies had obtained licence from state licensing authorities for their FDC medicines, which was contrary to the Drugs and Cosmetics Act and Rules. The high court said the government was free to take action against sale of these medicines under any other law available to it if there was no valid licence for their sale and marketing. Central government standing counsel Amit Mahajan said the companies ought to have obtained licence from the licensing authority, which is the Drugs Controller General of India, as defined under the Drugs and Cosmetics Rules and not the state licensing authorities. The government lawyer also said since these companies had obtained licence for these medicines from state authorities, they were not entitled to any interim order as was passed in favour of 22 companies in the last four days. Even Wockhardt and Glaxo had got relief of the stay order on Thursday with regard to other FDC drugs they were selling. Senior advocate Kapil Sibal, who appeared for Griffon, contended that the government's March 10 notification banning sale of some FDC drugs was not concerned about whether the medicine was marketed or sold without valid licence. Even otherwise, any permission, as claimed by the government, was not required to be obtained, he contended. The court also issued notice to the government on the companies' pleas challenging the notification and listed the petitions for hearing on March 21. The high court had on Thursday granted interim relief to 14 healthcare majors, including Cipla, Lupin, Wockhardt, Glaxosmithkline and Mankind Pharma, by staying till March 21 the ban imposed by the government on sale of some of their FDC drugs. Apart from these five, the companies which got relief were Dr Reddy's, Laborate Pharmaceuticals, Alkem Laboratories, Ajanta Pharma, Khandelwal Laboratories Pvt Ltd, Micro Lab Ltd, FDC Ltd, Coral Laboratories Ltd and Eris Lifesciences Pvt Ltd. The court had earlier passed the same order in the pleas filed by eight others, including Pfizer, Procter and Gamble (P&G), Glenmark and Reckitt Benckiser. Till date, the interim stay order of the high court is being enjoyed by 22 companies which also include Abbott Healthcare, Alembic Pharmaceuticals, Piramal Enterprises and Macleods Pharmaceuticals. Some of the well-known medicines on which the ban on sale has been lifted include Pfizer's Corex cough syrup, Glaxo's Piriton expectorant, P&G's Vicks Action 500 extra, Reckitt's D'Cold, Piramal's Saridon, Glenmark's Ascoril and Alex cough syrups, Abbott's Phensedyl cough syrup and Alembic's Glycodin cough syrup. The 22 healthcare companies have sought quashing of the government's March 10 notification banning over 300 FDC drugs, including cough syrup compositions on the ground that they involve "risk" to humans and safer alternatives were available. The companies have contended that the decision was taken by the government without issuing them a show-cause notice or granting them a hearing. They have alleged that the notification was silent on the aspect as to which expert committee was appointed by Health Ministry to examine safety and deficiency of the FDCs. As per the notification, "On the basis of recommendations of an expert committee, the central government is satisfied that it is necessary and expedient in public interest to regulate by way of prohibition of manufacture for sale, sale and distribution for human use of said drugs in the country." 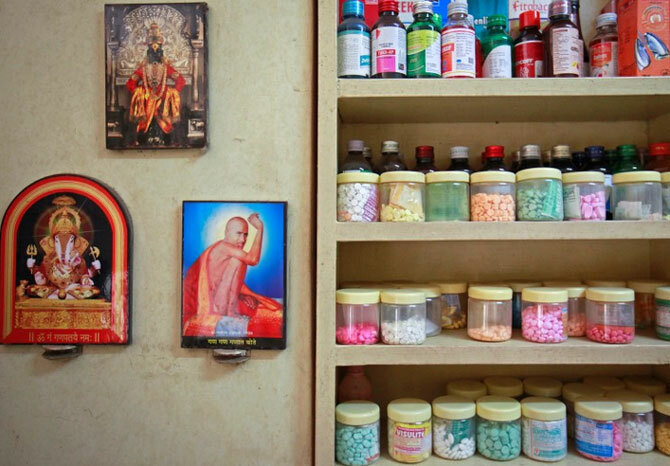 How safe are cheap medicines made in India?